Bishop John Forest Hogan, O.F.M., the first Bishop of Bellary displayed an unflinching spirit of sacrifice and dedicated his life to spreading the Gospel in the Diocese. He was a simple person, full of missionary zeal. In spite of ill health, he spent about 200 days in a year visiting parishes and sub-stations of the diocese, especially of Raichur district. When he was on his way to the Second Vatican Council in 1962, he fell ill at Naples in Italy and died there at the age of 67. 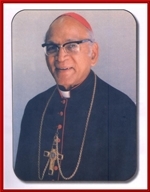 Bishop Hogan was succeeded by another great Franciscan Bishop Ambrose P. Yeddanapalli, O.F.M., a dynamic and02_ Most Rev_ Ambrose P_ Yeddanapalli, O_F_M_ (1964-1992) energetic person, who walked on the path blazed by his predecessor and built up the Diocese. 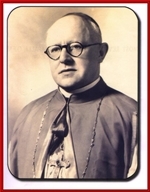 Bishop Ambrose was appointed as the second Bishop of Bellary Diocese on Dec. 10, 1963 by Pope Paul VI. 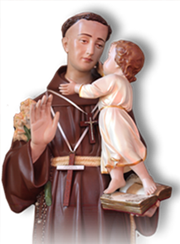 He set up a number of charitable institutions and erected 15 parishes. He encouraged many congregations of men and women religious to establish educational and medical institutions. He undertook developmental works in order to make the diocese self-sufficient. Bellary Diocese Development Society was born in the year 1987 for the all round social development of the diocese. After tenure of 28 years as Bishop, Rt. Rev. Ambrose P. Yeddanapalli rested in peace on 20th November 1997 at the age of 83. Most Rev. 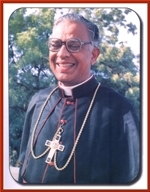 Joseph D'Silva was appointed as the third Bishop of Bellary on the 27th October 1992 by Pope John Paul II 03 Most Rev Joseph D'Silva (1993-2006)and he took charge on the 9th March 1993. Being a zealous pastor, in the short span of thirteen years between 1993 and 2005, he established 18 new parishes. Many beautiful churches, presbyteries in the parishes and chapels in the substations were constructed during his Episcopate. Since the Diocese was extensive, it was divided into 4 deaneries to facilitate better administration. Episcopal Vicar was appointed for Raichur district to co-ordinate missionary activities. On the occasion of the Golden Jubilee of the Diocese of Bellary and Yesu Krist Jayanthi - 2000, a beautiful shrine dedicated to Mother Mary and a Biblical Museum were built to stand as the monument of eternal tribute to the Blessed Virgin, who guided the Diocese of Bellary for 50 years. September 8, 2000, the day of inauguration of the shrine, was recorded in red-letters in the annals of the diocese for it coincided with the golden jubilee of the diocese and Yesu Krist Jayanthi - 2000. He served the diocese with much dedication until his death on 17th November 2006.